Beam steering (also spelled beamsteering or beam-steering) is about changing the direction of the main lobe of a radiation pattern. In a radio antenna's radiation pattern, the main lobe, or main beam, is the lobe containing the higher power. This is the lobe that exhibits the greater field strength. In radio and radar systems, beam steering may be accomplished by switching the antenna elements or by changing the relative phases of the RF signals driving the elements. In acoustics, beam steering is used to direct the audio from loudspeakers to a specific location in the listening area. This is done by changing the magnitude and phase of two or more loudspeakers installed in a column where the combined sound is added and cancelled at the required position. Commercially, this type of loudspeaker arrangement is known as a line array. This technique has been around for many years but since the emergence of modern DSP (Digital Signal Processing) technology there are now many commercially available products on the market. Beam Steering and Directivity Control using DSP was pioneered in the early 1990s by Duran Audio who launched a technology called DDC (Digital Directivity Control). A loudspeaker is an electroacoustic transducer; a device which converts an electrical audio signal into a corresponding sound. The most widely used type of speaker in the 2010s is the dynamic speaker, invented in 1925 by Edward W. Kellogg and Chester W. Rice. The dynamic speaker operates on the same basic principle as a dynamic microphone, but in reverse, to produce sound from an electrical signal. When an alternating current electrical audio signal is applied to its voice coil, a coil of wire suspended in a circular gap between the poles of a permanent magnet, the coil is forced to move rapidly back and forth due to Faraday's law of induction, which causes a diaphragm attached to the coil to move back and forth, pushing on the air to create sound waves. Besides this most common method, there are several alternative technologies that can be used to convert an electrical signal into sound. The sound source must be amplified or strengthened with an audio power amplifier before the signal is sent to the speaker. In optical systems, beam steering may be accomplished by changing the refractive index of the medium through which the beam is transmitted or by the use of mirrors, prisms, lenses, or rotating diffraction gratings. Examples of optical beam steering approaches include mechanical mirror-based gimbals or beam-director units, galvanometer mechanisms that rotate mirrors, Risley prisms, phased-array optics, and microelectromechanical systems (MEMS) using micro-mirrors. A transmission medium is a material substance that can propagate energy waves. For example, the transmission medium for sounds is usually a gas, but solids and liquids may also act as a transmission medium for sound. 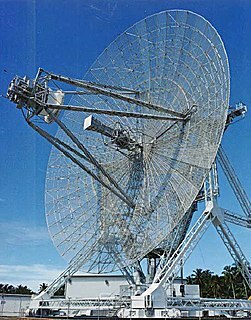 In telecommunications and radar, a reflective array antenna is a class of directive antennas in which multiple driven elements are mounted in front of a flat surface designed to reflect the radio waves in a desired direction. They are a type of array antenna. 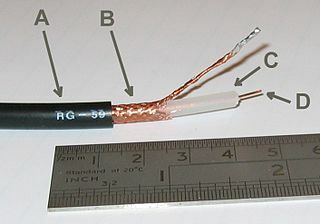 They are often used in the VHF and UHF frequency bands. VHF examples are generally large and resemble a highway billboard, so they are sometimes called billboard antennas, or in Britain hoarding antennas. Other names are bedspring array and bowtie array depending on the type of elements making up the antenna. The curtain array is a larger version used by shortwave radio broadcasting stations. Liquid crystal on silicon is a miniaturized reflective active-matrix liquid-crystal display or "microdisplay" using a liquid crystal layer on top of a silicon backplane. It is also referred to as a spatial light modulator. LCoS was initially developed for projection televisions but is now used for wavelength selective switching, structured illumination, near-eye displays and optical pulse shaping. By way of comparison, some LCD projectors use transmissive LCD, allowing light to pass through the liquid crystal. A spatial light modulator (SLM) is an object that imposes some form of spatially varying modulation on a beam of light. A simple example is an overhead projector transparency. Usually when the phrase SLM is used, it means that the transparency can be controlled by a computer. In the 1980s, large SLMs were placed on overhead projectors to project computer monitor contents to the screen. Since then more modern projectors have been developed where the SLM is built inside the projector. These are commonly used in meetings of all kinds for presentations. 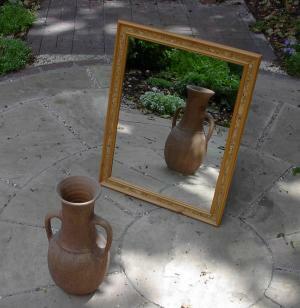 Apodization is an optical filtering technique. Its literal translation is "removing the foot". It is the technical term for changing the shape of a mathematical function, an electrical signal, an optical transmission or a mechanical structure. In optics, it is primarily used to remove Airy disks caused by diffraction around an intensity peak, improving the focus. Monopulse radar is a radar system that uses additional encoding of the radio signal to provide accurate directional information. The name refers to its ability to extract range and direction from a single signal pulse. Phased array optics also known as the optical phased array (OPA) is the technology of controlling the phase and amplitude of light waves transmitting, reflecting, or captured (received) by a two-dimensional surface using adjustable surface elements. It is the optical analog of phased array radar. By dynamically controlling the optical properties of a surface on a microscopic scale, it is possible to steer the direction of light beams, or the view direction of sensors, without any moving parts. Hardware associated with beam steering applications is commonly called an optical phased array (OPA). Phased array beam steering is used for optical switching and multiplexing in optoelectronic devices, and for aiming laser beams on a macroscopic scale. Micro-Opto-Electro-Mechanical Systems (MOEMS) are not a special class of Micro-Electro-Mechanical Systems (MEMS) but rather the combination of MEMS merged with Micro-optics; this involves sensing or manipulating optical signals on a very small size scale using integrated mechanical, optical, and electrical systems. MOEMS includes a wide variety of devices including optical switch, optical cross-connect, tunable VCSEL, microbolometers amongst others. These devices are usually fabricated using micro-optics and standard micromachining technologies using materials like silicon, silicon dioxide, silicon nitride and gallium arsenide. Wavelength selective switching components are used in WDM optical communications networks to route (switch) signals between optical fibres on a per-wavelength basis. A matrix mixer is an audio electronics device that routes multiple input audio signals to multiple outputs. It usually employs level controls such as potentiometers to determine how much of each input is going to each output, and it can incorporate simple on/off assignment buttons. The number of individual controls is at least the number of inputs multiplied by the number of outputs. David W. "Dave" Gunness is an American audio engineer, electrical engineer and inventor. He is known for his work on loudspeaker design, especially high-output professional horn loudspeakers for public address, studio, theater, nightclub, concert and touring uses. RCF S.p.A. is a widely recognized Italian manufacturer of high performance audio products including power amplifiers, loudspeakers, digital mixers and digital signal processors (DSP).